FREE LUNCH #1 | Your business is more than a logo. Entrepreneurs are excited by vision. They see an opportunity, a niche or an idea. We are also excited by the brands that could make them real. That is a good thing. Brands mean ownership; ownership means recognition and identity. Both mean capitalising on the idea and the entity that created or manages it. However… cute logos and snazzy websites are only part of the puzzle. Your complete picture needs to include how to produce, reproduce and raise revenue from your brand. Some entrepreneurs build a brand first and then try to find something sustainable to associate it with. Others plan around an idea and let the brand grow organically. The Virgin brand is now a model of diversifying: from broadband to banking; telecommunications to intergalactic travel. We also know it all started with Richard Branson managing a mail order record business from a public phone box. Although branding is important, it is vital to understand WHAT you are doing business with. A good business plan will help point out the areas of sustainable success for your idea. For help on Business Plans click here and on understanding your brand. 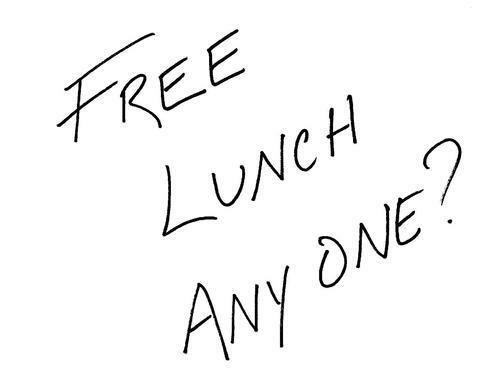 Follow @ideasgenius for more FREE LUNCH and other ideas insights.